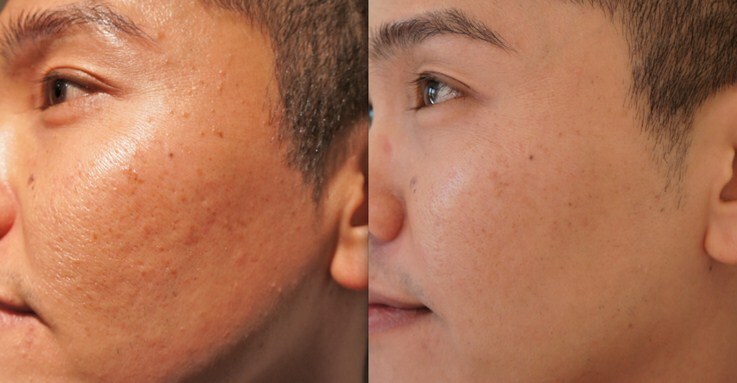 Mole lump and bump removal is a specialty at ou Sydney clinic. We use several methods of removal. Punch biopsy. this can be done with or without suturing depending on the size of the punch. Scarring is minimal with small punch biopsies. Serial punch biopsies are also an option for larger lesions. Each lesion is individual, so a consultation examination and discussion is required to determine which method will suit each lesion and the patient. Make an appointment to come and see us at Dr Naomi. * Take your history, including your ancestry, tanning ability, previous mole removal attempts and their complications/success. * We will obtain a written consent for the procedure for mole removal, with a discussion of risks, benefits, pros and cons of the treatment. If the patient signs the consent form, the test patch or procedure will go ahead. * The doctor will assess your risk of PIH and may also recommend test patching. If the patient is Fitzpatrick 1-2 (fair skinned) then they can go ahead with the test patch or treatment on the day. If they are darker skin toned or at risk for PIH (Post inflammatory Pigmentation) then they may be advised to use topical lightening agents for 8 weeks prior to treatment. These topical agents are sold at our clinic. The appointment is 30 minutes to 1 hour. Goggles will be worn by the patient to protect their eyes. 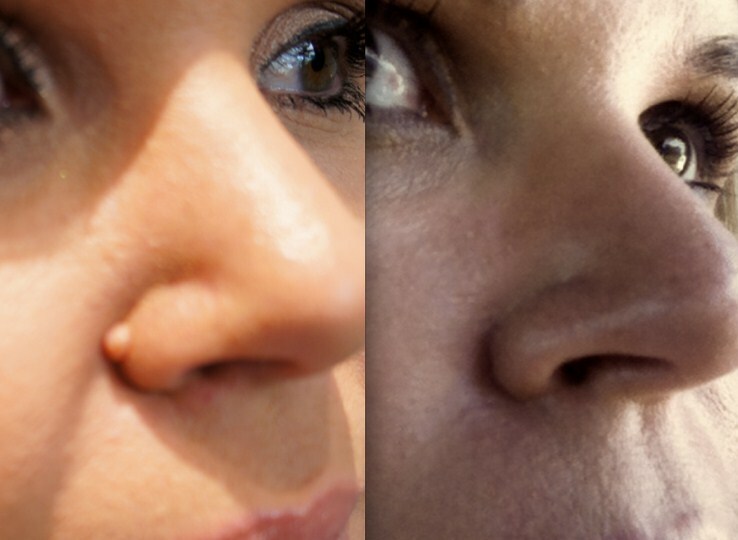 Local anaesthetic may be injected into the skin around the mole, lump or bump.. Multiple pulses of the laser are required for each lesion. The procedure is mildly painful, but most patients tolerate it very well. Typically patients will describe the pain as a 3/10. If local anaesthetic has been injected before laser, there will be no pain. 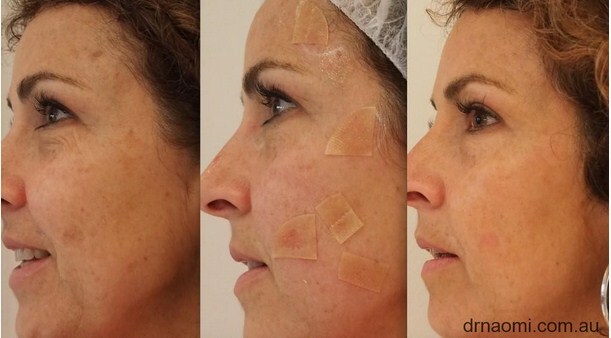 After the treatment, a dressing such as duoderm (a skin coloured adherent patch, which is like a second skin for the wound) will be applied to the wounds. These dressings need to be kept on for 3-7 days. You may change the dressings as required. It is ok to leave the same dressing on for 7 days The main reason for changing the dressing is because they can look a bit unsightly due to the blood, and also they get a blistered appearance over the course of the day after treatment. 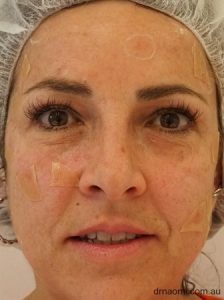 For the first 24 hours, a pressure dressing on top of the duoderm may be used to reduce the likelihood of bleeding overnight Immediately after the treatment The patient will feel a strong sunburn-like feeling over the treated area. The treated area may be bleeding. This will be stopped before you leave the clinic At home care after laser mole lump and bump removal The sunburn-like feeling will last several hours and then reduce. Sun should be avoided. Be aware that while driving one is exposed to the sun Do not use acid or antiaging face products or makeup on the affected areas for 10 days after treatment. If you are at risk of PIH, the doctor will have given you instructions to buy some corticosteroid from the chemist to reduce the inflammation and lower your risk of PIH. This should be used for 7 days, twice daily. You should start your lightening agent again at the time advised by your doctor. Replace the duoderm as required. Please see our aftercare post single spot ablation sheet. The sunburn-like feeling will last several hours and then reduce. Do not use acid or antiaging face products or makeup on the affected areas for 10 days after treatment. If you are at risk of PIH, the doctor will have given you instructions to buy some corticosteroid from the chemist to reduce the inflammation and lower your risk of PIH. This should be used for 7 days, twice daily. You should start your lightening agent again at the time advised by your doctor. Replace the duoderm as required. What should you expect to see on your skin after mole, lump and bump removal? The wound may bleed overnight, this is common, the clinic will have provided you with sterile gauze to use for pressure if this occurs. Usually most of the lesion will have been removed in the first treatment. 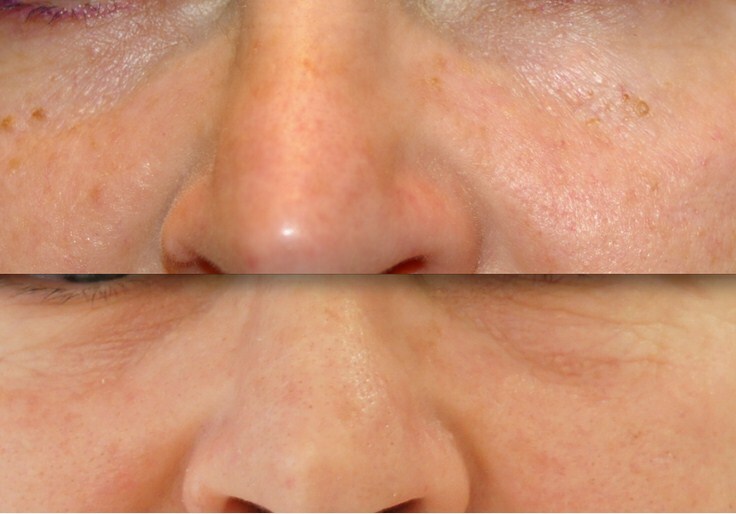 Treatment 2 will be at a minimum of from 3 weeks to 6 weeks after treatment 1, depending on the body area treated. 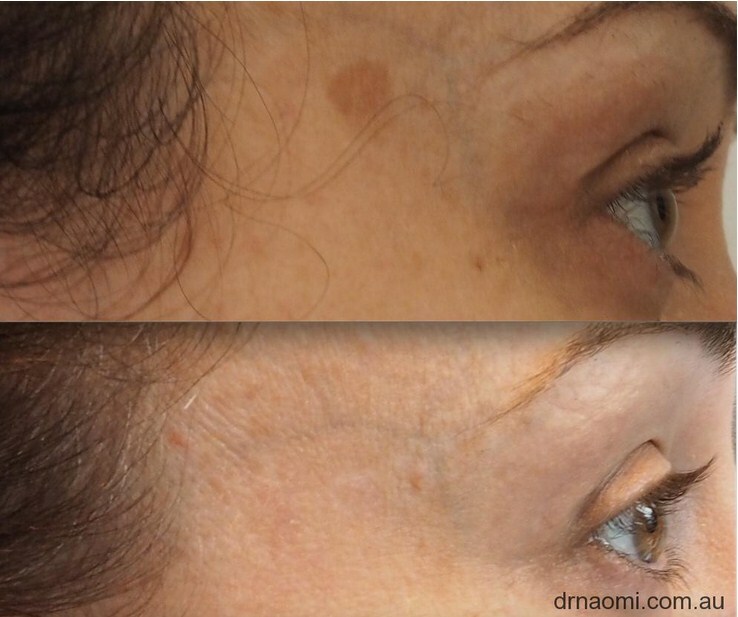 Which areas of moles, lumps and bumps the patient wants removed most urgently. Patients who are at risk for this are treated very differently to those who aren’t. Prevention is important, ie prelightening is important, and steroids may be necessary after the treatment. * Infection: Very uncommon, but always possible when skin is broken. The patient will notice a combination of redness, tenderness, swelling, pain and pus in an affected area. This is a very serious complication and needs to be treated immediately. The doctor should be contacted even if it is a night or a weekend. DO NOT PUT TREATMENT OF INFECTION OFF. Antibiotics are required, we typically suggest Cephalexin 500mg 4 times daily, with 1 repeat. 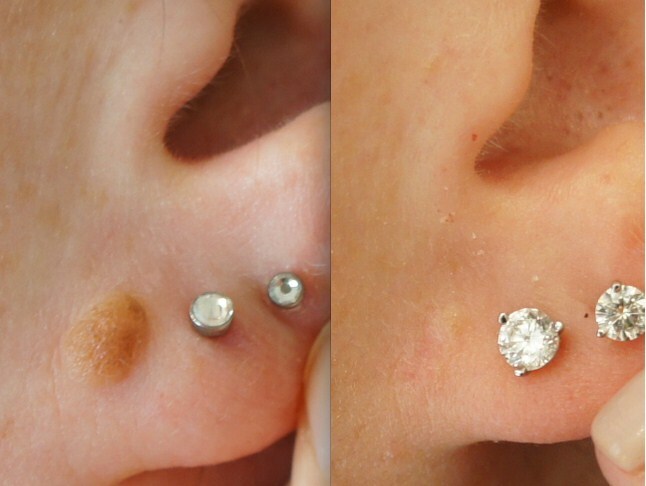 * Recurrence of moles after removal: This is quite common, and often the patient will require top up treatments every few years. 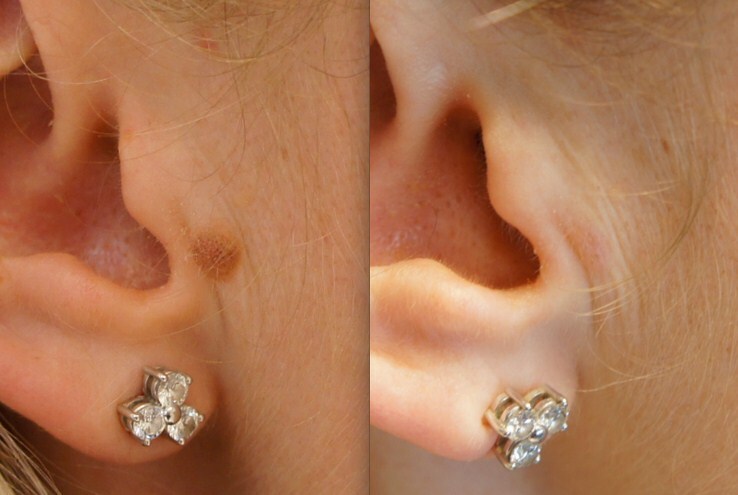 The amount of lesions that we are able to treat in one session depends on the size of the lesions.